A person is to be regarded as driving without due care and attention if (and only if) the way he drives falls below [the standard of] what would be expected of a competent and careful driver. In determining for the purposes of subsection (2) above what would be expected of a careful and competent driver in a particular case, regard shall be had not only to the circumstances of which he could be expected to be aware but also to any circumstances shown to have been within the knowledge of the accused. What is the standard of driving required? The standard of a competent and careful driver is both a fixed and objective standard. It is that of which is expected of a reasonable, prudent and competent driver in the circumstances surrounding the case in question. Driving conditions such as the weather, visibility and traffic conditions all affect the the degree of care that is required when driving. What may be considered inconsiderate and careless driving in poor weather conditions such as extremely cold weather with poor visibility and icy roads may not be considered careless or inconsiderate driving in good weather conditions with dry roads and good visibility. The standard of driving required applies to any and all drivers regardless of their driving experience. The same standard applies to learner drivers, experienced drivers and professional drivers. Although the fact that a driver was inexperienced will indicate a lower culpability. Careless driving is basically a failure on behalf of the driver to exercise the required degree of care, caution, attention and skill that a reasonable, prudent and competent driver would have exercised under similar circumstances and driving conditions. Careless driving often arises out of the inattention or misjudgement of the driver in question due to momentary lapses of concentration and errors or judgement. The burden of proving lack of due care and attention lies with the prosecution. They must prove that a driver did indeed show a lack of due care and attention whilst driving, and prove this beyond all reasonable doubt. If a possible innocent explanation is then provided by the defence, the court will have to decide, taking all relevant facts, evidence and circumstances into account, whether or not the defendant did indeed show a lack of due care and attention whilst driving. The main question that needs to be answered in cases of driving without due care and attention is what would a reasonable, prudent and competent driver have done under similar circumstances? The outcome to this question will depend upon evidence submitted and will be open to argument in court with the judges deciding whether or not the case can ultimately be proved. Driving without due care and attention may be committed either deliberately or inadvertently. Automatism: The performance of actions without conscious thought or attention; An action performed unconsciously or involuntarily. If it can be proved that a defendant charged with driving without due care and attention suffered from automatism at the time of the alleged offence then this may constitute a defence to the charge. For example if a defendant was rendered unconscious via a blow to the head from a brick or suddenly experienced an epileptic fit then the defendant may be found not guilty of driving without due care and attention. This defence can only be successful if the defendant can prove they suffered from the deprivation of all thought as a consequence of some affliction that was not connected with any deliberate act or conduct on behalf of the defendant and which the defendant had no reason to think and did not think might occur. Any defendant who drives a vehicle knowing that they have symptoms which may cause them to lose control of the vehicle may not be successful using this as a defence. If it can be proved that a defendant charged with driving without due care and attention was doing so because their failure to control the vehicle was entirely due to the fact that an external or internal inhibition prevented them from exercising proper control of the vehicle then they may be able to use this as a defence to the charge. a swarm of wasps may have somehow entered the vehicle inhibiting the defendants ability to control the vehicle with the normal due care and attention they otherwise would have demonstrated. a defendant may have had a malicious passenger on board whose actions inhibited the defendants ability to control the vehicle with the normal due care and attention they otherwise would have demonstrated. If it can be proved that a defendant charged with driving without due care and attention was doing so because of a mechanical defect that resulted in the defendant losing proper control of the vehicle and that in no way did this event occur due to any fault, lack of concentration or lack of judgement on behalf of the defendant, then this may constitute a defence to the charge. In order for this defence to be successful then it must be proved that the defendant was unaware of the mechanical defect in question and that the defendant wouldn’t otherwise have been aware of the defect if they had not exercised reasonable caution in relation to the road worthiness of their vehicle. WHAT DOES NOT CONSTITUTE A DEFENCE TO THIS OFFENCE? A self induced incapacity such as drunkenness or impairment through voluntarily taking drugs, prescribed or otherwise, does not constitute a defence to this offence. It is not a defence to driving without due care and attention that a defendant was tired, sleepy or had fallen asleep whilst driving. The highway code warns drivers of the dangers of driving while tired/fatigued. You can also find more information about driving while tired/fatigued from THINK! Road Safety here. The court should determine the offender's culpability and the harm caused with reference only to the factors below. Where an offence does not fall squarely into a category, individual factors may require a degree of weighting before making an overall assessment and determining the appropriate offence category. Having determined the category at step one, the court should use the appropriate starting point to reach a sentence within the category range in the table below. The court should then consider further adjustment for any aggravating or mitigating factors. The following is a non-exhaustive list of additional factual elements providing the context of the offence and factors relating to the offender. Identify whether any combination of these, or other relevant factors, should result in an upward or downward adjustment from the sentence arrived at so far. The court should take into account sections 73 and 74 of the Serious Organised Crime and Police Act 2005 (assistance by defendants: reduction or review of sentence) and any other rule of law by virtue of which an offender may receive a discounted sentence in consequence of assistance given (or offered) to the prosecutor or investigator. The court should take account of any potential reduction for a guilty plea in accordance with section 144 of the Criminal Justice Act 2003 and guilty plea guidelines. If sentencing an offender for more than one offence, or where the offender is already serving a sentence, consider whether the total sentence is just and proportionate to the overall offending behaviour in accordance with the offences taken into consideration and totality guidelines. In all cases, the court should consider whether to make compensation and/or other ancillary orders including disqualification from driving. Section 17 of the Criminal Justice Act 2003 imposes a duty to give reasons for, and explain the effect of, the sentence. For more information on sentencing guidelines, fine bands, sentencing for multiple offences and ancillary orders please visit Sentencing Council, Magistrates Court Sentencing Guidelines [online]. 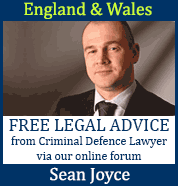 Available from https://www.sentencingcouncil.org.uk/. ©Crown Copyright 2019.